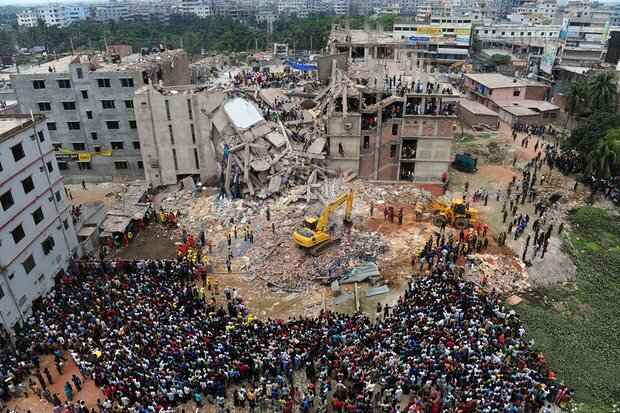 In 2013, more than one thousand Bangladeshi garment workers were crushed to death as the nine-storey factory they were working in came crashing down on top of them. Of the survivors, thousands were injured and more than one hundred lost limbs. Many relatives of those killed were never reunited with the bodies of their deceased loved ones. The Rana Plaza factory collapse was a shocking wake-up call to the realities of the fashion industry. The vast majority of those that work in factories like Rana Plaza are women, who face astonishingly poor wages, unsafe working conditions and backbreaking schedules – all so we in the developed nations can have a t-shirt for less than ten bucks. Since this industrial disaster, fashion retailers have made attempts to become more transparent. Many companies have promised to put safeguards in place to better protect their workers, with hundreds signing on to the Accord on Fire and Building Safety In Bangladesh. Oxfam believes for a company to be considered ethical, they should publish the locations of their factories to make it easy to check that their clothing is being made under safe and fair conditions. Ever year, just in time for Christmas, Oxfam releases the names of those that have disclosed this information and those that haven't, allowing consumers to vote with their dollars in the lead up to the festive season. But does simply revealing where an item is made make it ethical? The brands that have misbehaved enough to make the 'naughty' list were unsurprising, with the usual suspects like Top Shop and Zara making a feature. 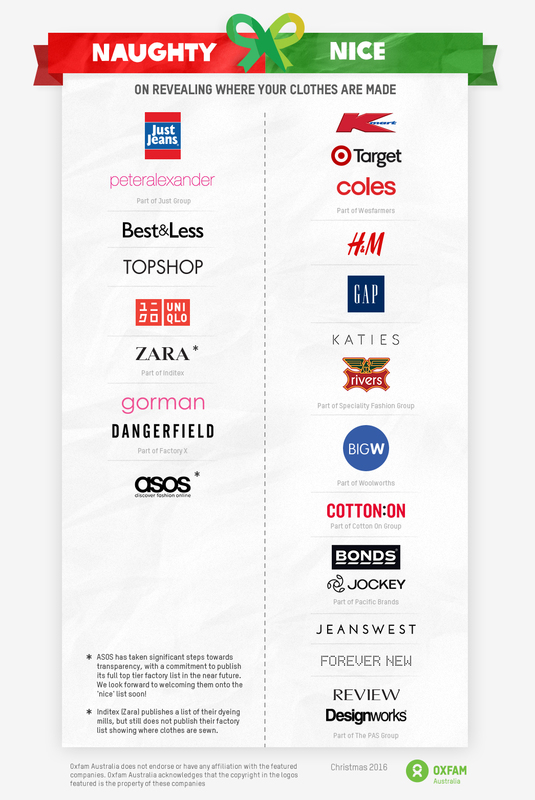 What's a little more astonishing however is the brands that made the 'nice' list- in particular, king pin of the fast fashion industry, 'H&M'. Fast fashion is disposable, worn once before it goes out of style, or bought because it looked okay and cost less than a cup of coffee. The idea that it could ever be considered ethical or sustainable is inherently flawed. Fashion once had four seasons, now we have more than 52 'micro seasons' annually. H&M stores get shipments of new styles every single day, and produce more than 600 billion garments every year, yet it considers itself to be a leader in the ethical fashion sphere. H&M are masters of marketing, so it's easy to be fooled by the big bucks they inject into their glossy campaigns. In a continuing program, H&M encourages its shoppers to drop off unwanted clothes in return for a 15% discount voucher. According to Bloomberg, this figure is enough to allow the company to protect its profit margins while simultaneously boosting the chance of a new sale. 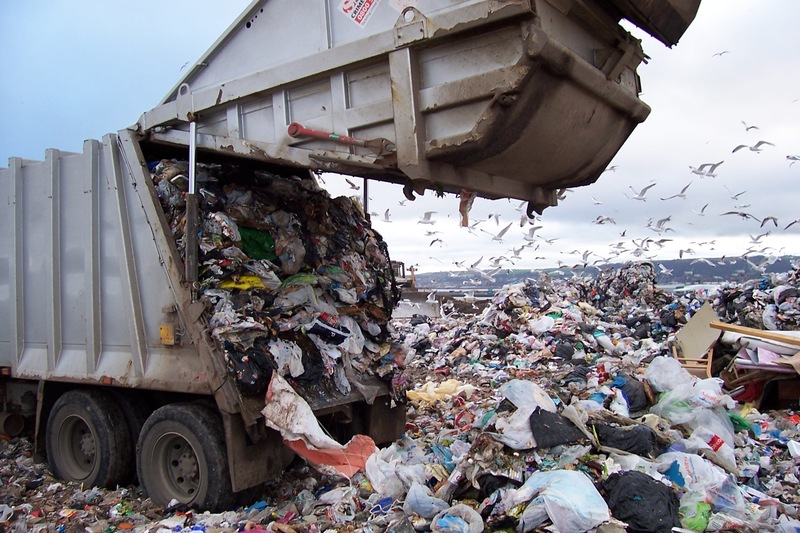 Currently, a mere 1% of material used by H&M is recycled fabric. H&M might be giving it their best shot, but it's difficult to see how it's possible for an industry that's built on mass production and overconsumption to ever be considered sustainable. At the crux of it, they're two completely opposing ideologies. It's not a naughty or nice list we need…. But a total overhaul of the way we consume, particularly when it comes to our clothing purchases. The fashion industry is the second biggest polluter in the world, yet the average Australian woman wears just a third of what's in her wardrobe. Every five minutes, 9513 garments are thrown into British landfill. It's easy to see from these figures there's a big disconnect between our spending habits and what we actually need. Lists like Oxfam's 'Naughty or Nice' make it easy to see which brands are transparent and which are not, but they don't take the environmental impacts of these retailers into account – making it easy for consumers to believe that any brand listed on the 'nice' list is a go-to option. As we continue to buy, buy, buy the lines of ethics and sustainability begin to blur and we need to consider how the two come in to play before we make a purchase. We don't need a $50 ruffled bell sleeved top to make us feel good (and in two months you'll be wondering why you ever thought it was a good idea to channel your inner Austin Powers). Instead, we need to slow down, buy less and choose pieces that last. Fast fashion retailer like H&M wants us to think they're making strides in the environmental sector. Yet it is hard to see how a company that's business model relies on an astonishingly high volume of waste could ever be deemed truly sustainable.